Tour Duration: 5 nights, 6 days. 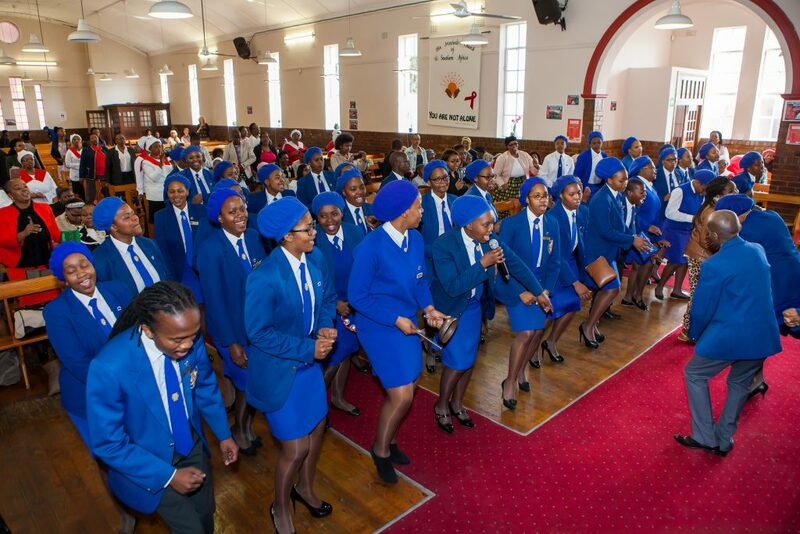 The history of the many churches involvement in the struggle for human rights continues to this day in Cape Town: part of your tour includes a visit to a church service. 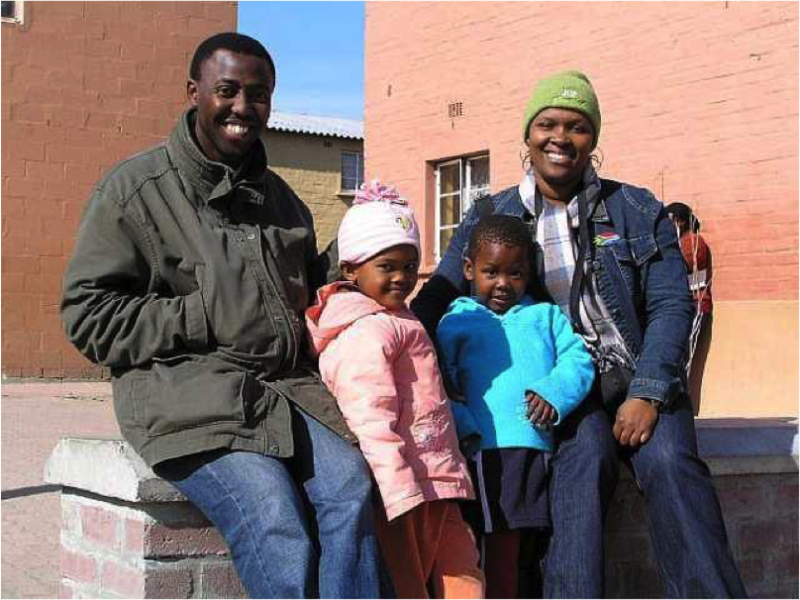 Your hosts for your soulful Cape Town Journey – Samantha Mtini, Khonaye and their two children outside their home. Visit the parts of Cape Town most visitors and residents never see. Get treated like a welcome visitor not a tourist from the first moment to the last. Welcome to your soul journey! 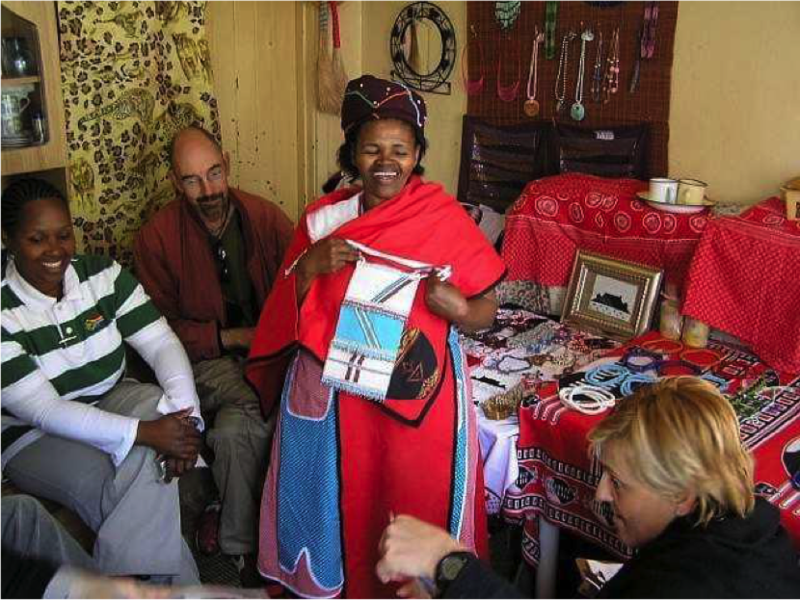 On this trip, you’ll be personally guided to some of the most important, most inspirational, most evocative yet also the most forgotten and neglected parts of the magical Mother City, Cape Town. Your various trips touch on the history of the struggle for human rights, but also the modern fight for land, dignity, employment and education: you’ll witness first-hand the stories and lives of people and communities who have overcome incredible obstacles yet have achieved great things. This is truly a trip to from which you cannot emerge unmoved. On Day 1, your trip starts with a private airport transfer from Cape Town International to Parker Cottage, Cape Town. If your flight arrives early in the day, you’ll have a chance to acclimatize and enjoy Kloof Street and Long Street in the afternoon and evening which are constantly buzzing with bistros, bars and galleries.Day 2 starts at District Six, and then Langa, Gugulethu and Bonteheuwel, as well as the Joe Slovo Informal Settlement. We’ll stop for lunch in Langa at a local eatery and to the Robben Island Ferry. On Day 3, you get to travel the way that locals do: on the train! Arriving back in Langa, you’ll visit a kitchen garden project and enjoy a lunch prepared from the harvest there. Straight after that, we’ll be meeting young players for a game of soccer ending with a home-cooked ‘braai’ under the setting sun. You’ll then be transferred to your next lodging, The Vineyard Hotel in Constantia. On Day 4, you’ll be putting your cooking skills to the test, learning how to cook traditional isiXhosa dishes. Food and its preparation are so very close to the soul of African people and whilst learning how to cook, you’ll come to understand more about cultural traditions and passing them on to the next generation. The second half of the day (after you’ve eaten your own creation!) will be a chance to sit back and take in the majestic scenery of the Cape Peninsula. You’ll be staying at The Vineyard again tonight. On Day 5, we’ll take you on our tour of the Cape Winelands, dropping you off at your lodging for the night, The Oude Werf in Stellenbosch. Day 6 we’ll take you on a walking tour of Stellenbosch and then for a picnic at Vergelen just before your transfer back to the airport. For a map of the itinerary, have a look at this link. Note also that the accommodation and tours can be adjusted to suit your budget. We can obviously also include rest days between the tours if you like. Parker Cottage was built by the first mayor of what was then called Greater Cape Town as two separate houses in 1895. John Parker was an interesting figure: having arrived utterly destitute in Cape Town from Glasgow aged 15, he luckily managed to get training as a draughtsman, which lead him to become the architect and then eventually the mayor, adding many hundreds of extant buildings to the Cape Town landscape. These days, Parker Cottage isn’t exactly a cottage as the two houses have been combined very sensitively into one grand mansion now boasting ten en-suite bedrooms. 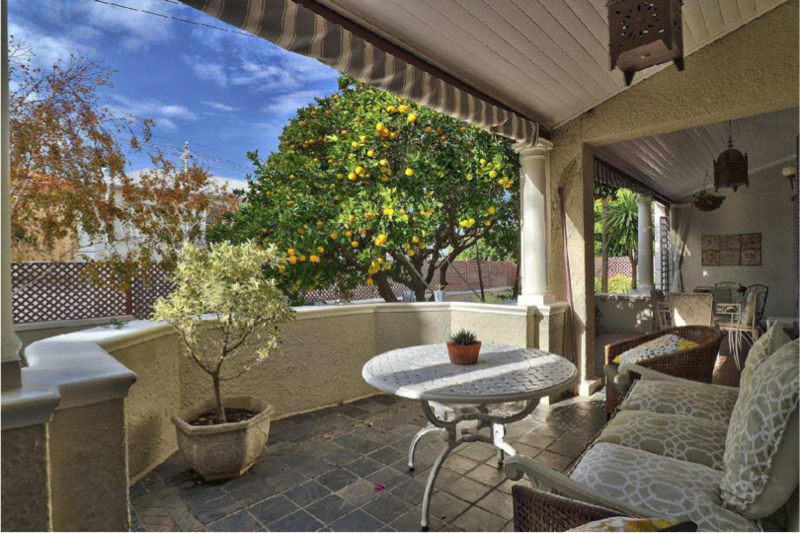 The owners, Pamela and Frederic, have done an amazing job of retaining the charm of this old building but adding all the modern conveniences you’d expect at the four-star level. Parker Cottage is unique in Cape Town as being one of the very few heritage buildings that’s almost completely off grid for water, electricity and heating/cooling and of course, it’s Fair Trade Accredited. The location is perfect: on a quiet residential street but literally a five-minute walk away from the buzz and fun of Kloof Street, which by day and by night has so much choice of dining and boutiques that two days will not be enough to even start to cover it. Cape Town’s big attractions like Table Mountain, the V&A Waterfront and the Old Town are all less than ten minutes away by car. Day 2 will be busy: you’ll start with visiting a historical site of forced removal, District Six, and then continue on to visit three very different districts, Langa, Gugulethu and Bonteheuwel, as well as the Joe Slovo Informal Settlement. Each of these districts has a unique history and surprising levels of wealth cheek-by-jowl with relative poverty. You’ll be guided every step of the way by local residents of each district, visiting businesses, homes and public organisations as you go. The stoep at Parker Cottage: a perfect place to restore your spirit. 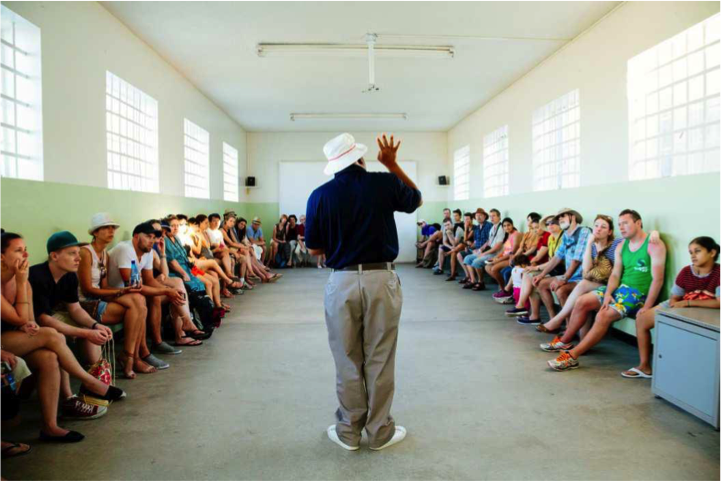 Visiting Robben Island’s prison, guided by an ex political prisoner. We’ll stop for lunch in Langa at a local eatery and then take you on to the V&A Waterfront. From here, we’ll get you to the Robben Island Ferry and then collect you when the boat comes back at the end of the day. You’ll then be transferred back to Parker Cottage. Today on Day 3, you get to travel the way that locals do: on the train! Your guide will collect you from Parker Cottage and then take you to the train station. You’ll witness first-hand the challenging nature of public transport infrastructure and speak to fellow travelers on the train. The final stop on the train is back in Langa, but this time you’ll have time for a more engaging stay: you’ll visit a kitchen garden project and enjoy a lunch prepared from the harvest there. Straight after that, we’ll be meeting young players for a game of soccer as well as coming to understand the history and importance of this game to the struggle and upliftment of disadvantaged South Africans. We round the day off the way every sporting day should end: with a home-cooked ‘braai’ under the setting sun. You’ll then be transferred to your next lodging, The Vineyard Hotel in Constantia. 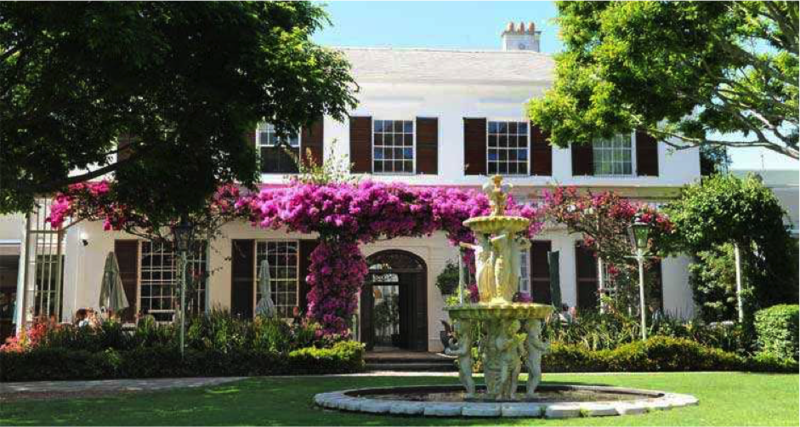 The Vineyard Hotel, Newlands, which will be a welcome sight after your hike today! 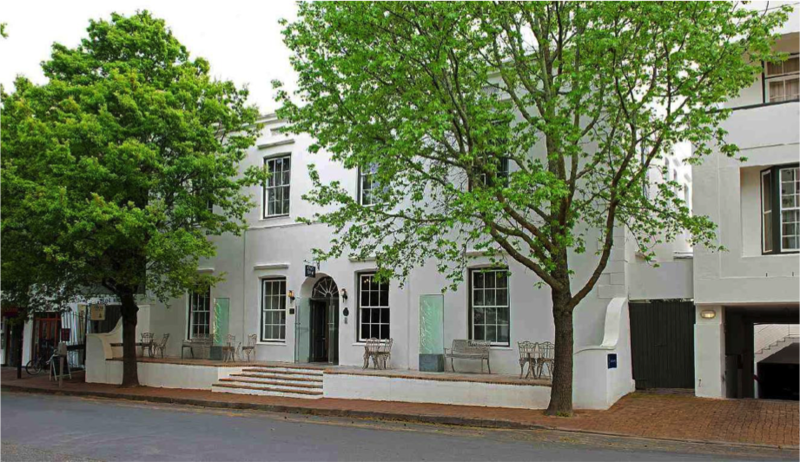 Your accommodation for the night is just a little further on at the Vineyard Hotel in Newlands (Constantia). With over 200 years of history within its walls, The Vineyard is situated in six acres of attractive landscaped parkland on the banks of the Liesbeek River. This beautiful building is most unusual for its time in that it was built then a very long way away from Cape Town itself and over two stories in a Regency (rather than a Cape Dutch) style. It was the original home of Lady Anne Barnard but on conversion into a hotel had extensions designed by highly acclaimed architects Jack Barnett and Revel Fox. 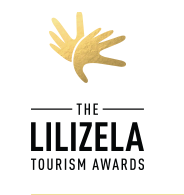 It is filled with works by leading South African artists and offers rooms ranging from single to family suites, both mountain and courtyard facing. There are two restaurants with reputations in their own rights at the Vineyard: “the Square”, a great favourite for breakfast and dinner, as well as a popular sushi bar and Myoga Restaurant which offers a modern fusion style of cooking. Myoga is open for lunch and dinner and the Square for breakfast and dinner. The hotel offers its guests two swimming pools – one outdoor, surrounded by loungers and one heated indoor pool. You’ll be pleased to hear that after a long day in the saddle there is a world-class spa on site too. Nomonde, the proprietor at Mzansi’s in Langa, showing off some of her delicious creations. Today you’ll be donning your chef’s hat for your African Cooking Safari. We’ll be back in Langa again but this time we’ll either be in the home of a celebrated local cook or if we’re really lucky in the kitchen of one of the local eateries. 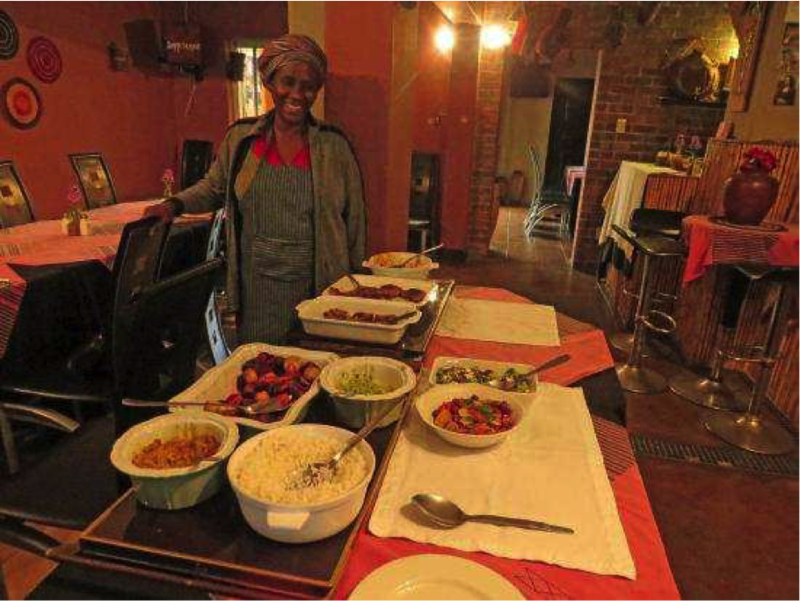 You’ll quickly discover that learning how to prepare traditional isiXhosa food is as much about the dish as the story behind it. With many of the dishes taking several hours to prepare, you’ll also learn how the food brings family life, friends, extended families and often even the neighbours together. Of course we’ll get a chance to taste our creations with a lunch so come hungry! If you’re really lucky, you’ll get to do this on a Sunday: labour is often divided with some in church and some busy in the kitchen preparing a soulful Sunday meal. You’ll get a chance to chat with the chef about traditional African dishes, a chance to cross cultures and taste traditional home-made African beer and come face-to-face with a Smiley. Peninsula: you’ll experience the stark contrasts in the standard of housing and infrastructure as we drive past the pristine beaches of Camps Bay, Clifton and Llandudno – currently the hottest real estate in the world – to Hout Bay, a functioning harbour and heart of the local crayfish industry. We’ll visit the natural splendour of the Cape of Good Hope Nature Reserve: the spectacular sea and mountain views are reason enough to make the 66km/41miles trip from Cape Town. Amid the rocky landscape – home to mountain zebra, eland, baboons and ostriches – blooms magnificent Cape flora. We’ll also call in at Kirstenbosch Botanical Gardens for an hour or two on the way back: considered by many to be a reason to visit Cape Town on its own, we’ll spend a few hours appreciating the massive range of flora that these world-famous gardens exhibit. At the end of this very varied day, you’ll be dropped back at The Vineyard again. The Oude Werf is the oldest running hotel in South Africa, having been in existence for over three centuries: but don’t let this fool you into thinking that it’s dowdy or set in its ways. The hotel has earned the coveted Fair Trade Accreditation, meaning that it puts people and planet first, synchronizing ethical and sustainable business practices with a superb client experience. You’ll be impressed with their offerings of in-room massages (you’ll enjoy that after all the touring you’ve done! ), coffee lounge and room service, not to mention the superb food and wine. We know it’s good because the Werf is a place where you will find locals as well as visitors eating and as everyone knows, if the locals eat there, it must be good! Unbelievably, the building that the hotel is housed in actually burnt down no less than three times in its history: originally built in 1686 as a church, the modern building is from 1880 but was completely redesigned and refurbished in 1973 into a hotel. To this day, it remains family owned and run by the Pistorius family who are on site most days. Today we’ll travel through the spectacular mountain scenery and lush fertile valleys of the Cape Winelands: you’ll get a chance to learn more about the history of this part of country and allow yourself to indulge in the pleasures of the renowned Cape Winelands. We’ll visit several wine estates on the way but also the towns of Franschhoek and Paarl. Franschhoek is known as South Africa’s gastronomic capital, renowned for top restaurants and noble wines, a quaint little town with a French influence brought about by the arrival of the French Huguenots in 1688. Paarl is one of the oldest towns in South Africa, named after the legendary birthplace of the Afrikaans language. We’ll explore the High Street and some wine makers just outside the town. On the morning of your last day, we’d strongly recommend spending time simply walking the streets of Stellenbosch, lined as they are with jacaranda trees and oaks and every turn leading to more history and old-world architecture. It’s an absolute treat for the senses. You’ll be collected from The Oude Werf around 12h00 and taken to your final stop on the tour, which is Vergelegen wine estate for a picnic lunch under the shade of the trees in the garden. After this, you’ll be taken back to Cape Town International for your flight home. We do hope you enjoyed your Journey to the Soul of Cape Town: we’ll see you again soon!